Intensely refreshing and peppery flower with green nuance, created to give sheen and freshness to perfumes. The pleasant aroma of fresh freesia flowers. The fragrance of freesia is incomparable in that it contains a cheerful bouquet of peppery zing and floral freshness projected at the right intensity, a delicious aroma that radiates for a long distance. High in linalool, a major component in all freesia varieties, it emits a refreshing, floral woody aroma with a subtle citrusy-terpenic note. 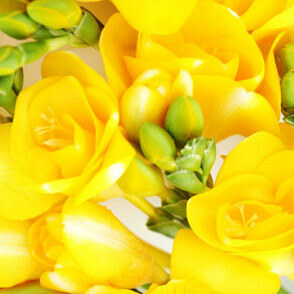 Freesia Flowers are one of the most fragrant flowers. The Freesia specie, Freesia alba caused a sensation when introduced into cultivation in 1878! Along with Freesia leichteinii, this is the most deliciously, sweetest of all Freesia species.